to support the Red Cross response to historic flooding. Over the last 7 days, the Greater New York Red Cross provided emergency assistance to 136 adults and 57 children following 55 local disasters. Here are some highlights from last week and a preview of upcoming activities (see below). This Saturday #GetAlarmedNYC was in Queens and installed nearly 400 smoke alarms in homes in the communities of Queens St. Albans and Far Rockaway! On Sunday volunteers were also out installing alarms in communities throughout Suffolk County, Long Island. On Friday we posted a story about Edelmira Vargas who turned to the Red Cross after she and her family were left homeless by a fire for the second time in six years. 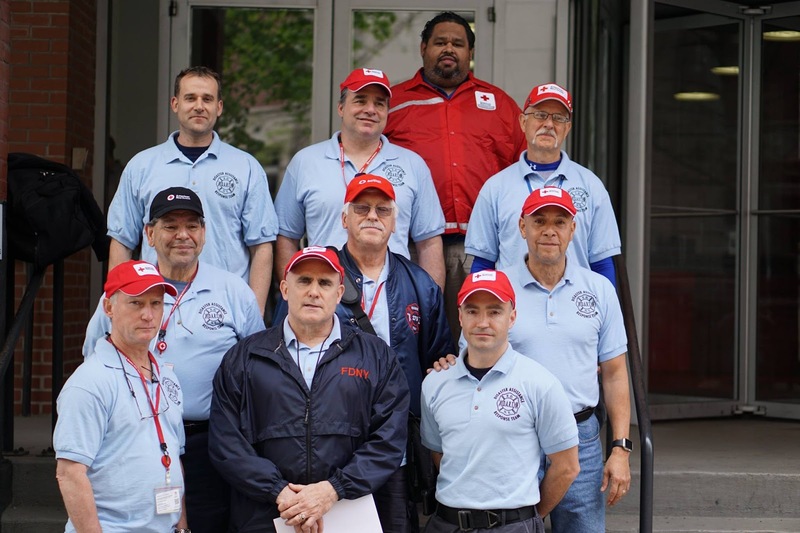 Last week, we continued to highlight our home fire protection volunteers with two more profiles. Red Cross volunteer Lisa Liggins talks about what it’s like responding to fires in the latest #MyRedCrossLife Instagram post. On Wednesday the Red Cross assisted more than 50 residents displaced by a fire in Oceanside, Long Island. See ABC 7 coverage of the fire. Last Tuesday eight members of our Disaster Assistance Response Team (DART) headed to Texas to assist with the historic flooding still affecting areas in the state. NY Red Crossers Maria Milan and Lilliam Rivera-Cruz were also down there assisting with the response. Check out NBC coverage of DART’s deployment. Last Monday students from Stuyvesant High School’s Show U Band presented the Red Cross in Greater New York a check for $1,050 raised from their annual fundraiser concert. May 4: For weeks now, Star Wars: Force for Change has been raising money for good causes (the Red Cross is a beneficiary). There are many fun weekly challenges leading up to Star Wars “May the 4th Be With You” Day. May 5, 6, 10: Red Cross blood drive: 2 to 7pm: 520 West 49th Street, Manhattan. Schedule an appointment to donate today. May 7, 14: The Citizen Preparedness Corps (CPC) is looking for more trainers and is holding presenter training sessions on May 7 and 14. If you are an interested Red Cross volunteer, please email olga.wallace@redcross.org. May 7: Our home fire preparedness campaign is coming to Mastic, Long Island. Volunteer to help out, or sign up to get a free smoke alarm installed in your home. May 8: Later this month we celebrate World Red Cross and Red Crescent Day! Give blood or donate to celebrate the amazing work of volunteers and staff who help to save lives every day.